Saturday 10:30 – 12. Make life easier and sign up here. I normally feel ambivalent about memes like this. I have felt that posts such as these are shameless ploys for “likes” or followers. At times I feel that they don’t add anything meaningful to the already-sometimes-questionable value of online engagement. At least for me. But this post sums up what I am focusing on right now. It is really this simple. This week I have begun a seasonal rejuve. Others might call it a cleanse or a detox. For me, it is very decidedly an opportunity to press the reset button. And without boring you with the (sometimes gory) details, my reset is focused on slowing way down. Slowing down and simplifying enough to actually perceive what is happening inside me. It is a sensitization process. While I simplify what I consume by way of food as well as stimulus, I sharpen my senses and hone my intuition. It is not something that I can really describe. It is definitely experiential. 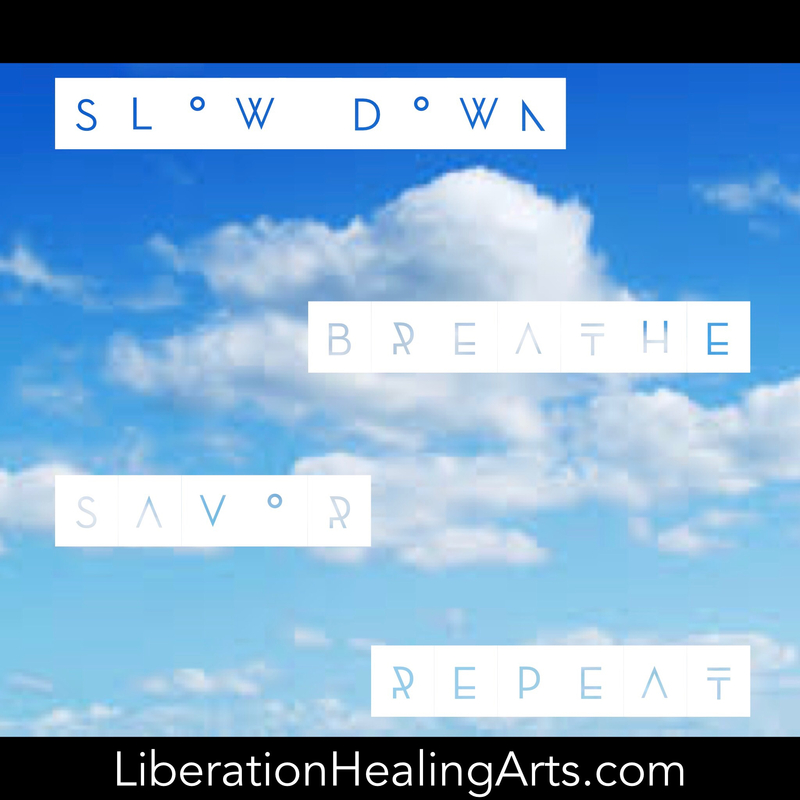 This week’s classes will be focused on slowing everything down enough to really sense and perceive the rich depth of the process that is always unfolding, beneath the layers of crud and accumulated gunk and misperceptions. There is actually quite a lot happening on more subtle levels, in more nuanced ways. Sometimes we have to slow things way down to sense and savor it all. 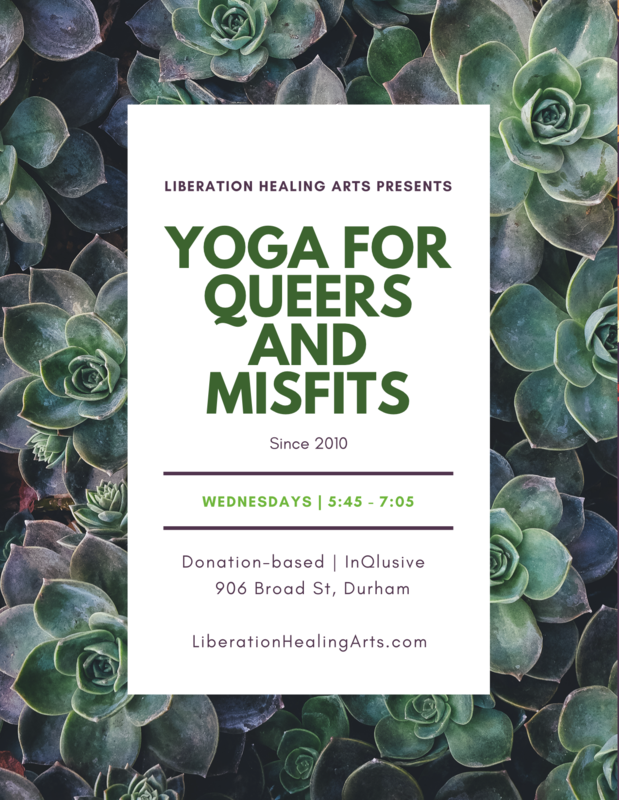 This entry was posted in Uncategorized and tagged all-levels yoga, anti-oppression, community based yoga, durham yoga, durham yoga company, inclusive yoga, patty adams, queer yoga, resilience, self-care, social justice, social justice yoga, trauma-informed yoga, yoga, yoga for queers, yoga in durham. Bookmark the permalink.